Russell is a Texas native, born in Alpine and raised in the panhandle town of Hereford. He is a graduate of The University of Texas and holds a Bachelor of Arts degree in Economics. 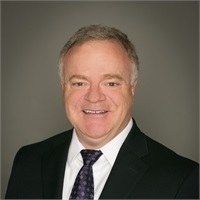 Russell's career in Financial Planning began in Austin in 1987 where he worked as a Representative for a national financial planning company. In 1991 he was promoted to a division management position and accepted a transfer to Dallas to run the firm's office there. In 1997 Russell decided to leave management and return to what he enjoyed most; serving individual clients. He teamed up with Mark Henderson at Mark's firm Henderson & Associates which later became The Asset Preservation Group. Russell and his wife Georgia have been married for 25 years and make their home in Keller, Texas. Georgia is a full-time mother and homemaker; previously she worked for Southmark Corporation as their National Director of Training. She is a graduate of Texas A&M University with a degree in Marketing. They have two children. Seth is a freshman at John Brown University and is studying International Business and Political Science. Ashley is 12 and in the 6 th grade. The Billingsley's are active in their church and enjoy bicycling, swimming and just spending time together as a family.